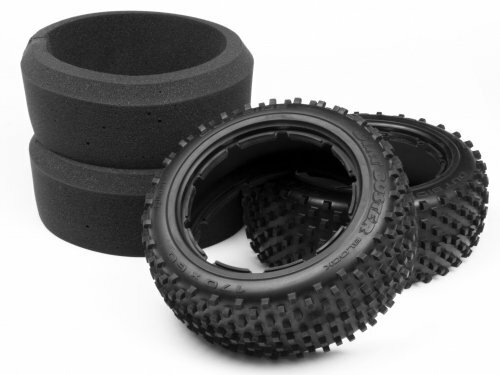 Baja 5B owners, these new Dirt Buster Block front tires work great on high traction surfaces like high grip dirt and grass fields. 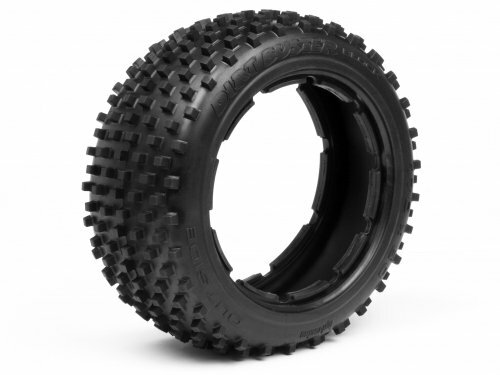 The block tread design matches the stock Baja 5B rear tires for balanced front and rear traction. And, the blocks can be easily trimmed to tune the amount of steering that you need. M Compound rubber is the same as the stock front tires. These are a direct bolt-on replacement for the stock Baja 5B front wheels. Sold in pairs, includes inner foam.